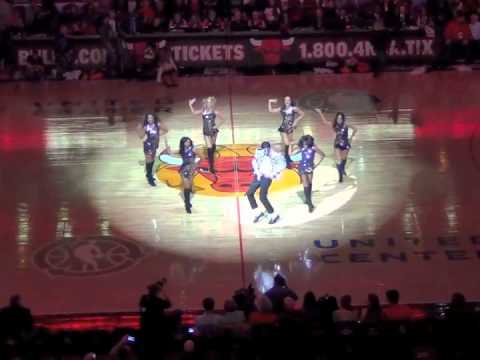 Ed Hollis performing for the Chicago Bulls Halftime Show. Ed Hollis hanging out with Mrs. Katherine Jackson after performing for the Jackson Family. 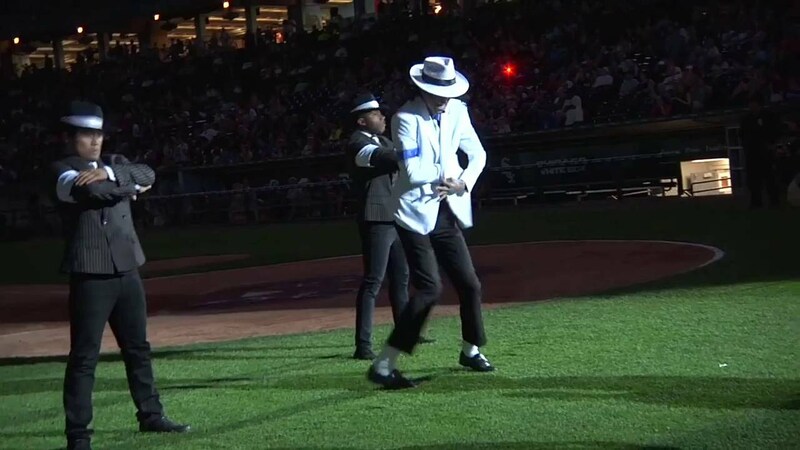 Performing "Beat It" at the Chicago White Sox Stadium. Sold out crowd of over 30,000 people. Ed Hollis being awarded "Best MJ Tribute Artist" from Katherine Jackson. Performing "Smooth Criminal" at the Chicago White Stadium. Sold out crowd of over 30,000 people. Mrs. Katherine Jackson and Ed Hollis. Performing "Billie Jean" at the Chicago White Stadium. Sold out crowd of over 30,000 people. Ed Hollis and Rebbie Jackson after performing for the Jackson Family. At 2300 Jackson St in Gary, IN with fans from Austrailia after performing for the Jackson Family. Ed Hollis performing for the Jackson Family. After performing for Joe Jackson. Heading to the stage in Seattle, Washington. "Smooth Criminal"
Ed Hollis performing Billie Jean. Great show! I love you all! THE BEST I'VE EVER SEEN!!!!! Our company booked Ed Hollis as the entertainment for our 12th annual Hollywood Awards Gala. We had researched dozens of Michael Jackson impersonators and when we saw his videos we knew we had to book him! He made the booking process very easy and he put on the show of a lifetime! Watching Ed was like watching a Michael Jackson concert! Our audience loved him!!!! This guy is the real deal and we can't wait to book him for more events in the future. Thank you so much Ed. The Greatest! A Night to Remember Forever! Ed Hollis performed as Michael Jackson at my wedding reception. His attire, his moves along with the music made my reception a huge success. The children thought it was really Michael Jackson. People are still talking about it today! Thank you for making my wedding celebration one to always remember. We hired Ed Hollis after researching MJ impersonators and had no idea of the treat we were in for. My husband’s military and teaching retirement celebration was an event to remember and one for the books. When Ed Hollis came on, our guests of all ages went crazy. 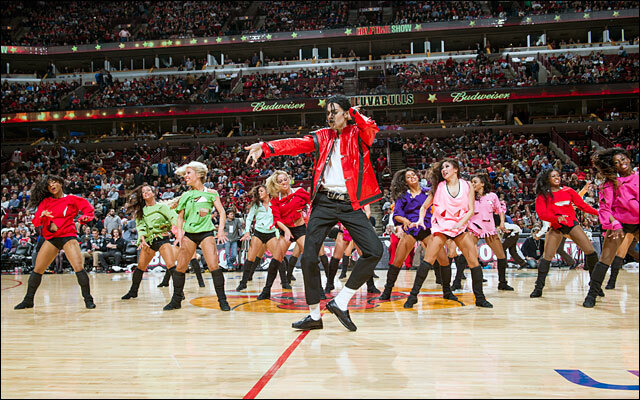 His energy, looks and demeanor gave each of them the experience as if Michael Jackson was actually there. It was no doubt in my mind that we had made the right choice when we booked him. I look forward to having him perform for a future event. Thank you Ed for the magic and talent you possess! Ed Hollis is spectacular as you watch him embody the great spirit of Michael Jackson through the music and dance moves that brings back old memories of good times of Michael Jackson that we all grew up loving to see and hear... Ed Hollis has performed numerous times for my family and friends at various events. 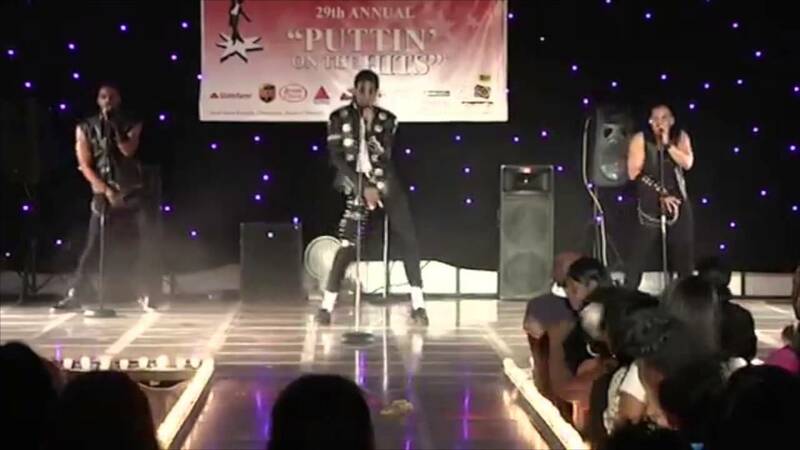 If you wanted to do something unexpected and spectacular for your next event surprise your family and guess with a performance from Ed Hollis as Michael Jackson impersonator I guarantee you that he will be the talk of your event. When I tell you Ed is the greatest Michael Jackson impersonator i have seen. The guest really loved you Ed. Thanks for coming from Netherlands to entertain my mom for her 70th celebration. I can't wait to plan another event to use you again with your back up dancers. Thanks Ed!!! Ed Hollis was so accommodating, thorough, professional and giving to the client! When he arrived, the crowd was in awe at the nostalgia of having Michael Jackson in the room! He really takes you back to the feeling you had while watching Michael! His moves are precise and his body language matches! His timing from transition from one song to the next is flawless and his ability to adapt to the room is impeccable. I would only book Ed Hollis for a Michael Jackson impersonator! He is well worth every penny and will give you a performance to talk about for a long time! He makes you want to book him time and time again! It also feels good supporting an impersonator from Michael Jacksons home town! Ed's connection to Michael shows through his work and you can see his love for Michael all throughout his performance! Ed's the one, stop looking elsewhere! I hired Mr. Hollis for my dads 70th birthday party. If you want to take your party up a notch. And if you want to completely catch your guest off guard, then Mr. Hollis is your guy!!!! His ability to adapt the room setting, along with his charisma and interaction with the audience, he will leave your guest wanting more!!!!! I highly recommend Mr. Hollis for any fun occasion, and people all still talking about how my dads party is going down in history for one to remember.... Thanks Michael Jackson! Ed performed at our wedding and put the cherry on top of an unforgettable evening. He was a professional through and through. He was responsive and organized. On the night of, he blew the socks off our guests. He does the best Michael Jackson impression I've ever seen in person. Thanks Ed! Ed Hollis performed at my surprise retirement party. Ed Hollis is the best Michael Jackson tribute artist. I have seen him perform at the "Putting on the Hits" charity event for the last four years. Imagine my surprise when my family invited Ed to perform at my surprise retirement party. He added an extra special note to my memories of my event. He gave an awesome performance. My guests thoroughly enjoyed his performance and appreciated the fact the Ed remained after his performance to talk to and pose for pictures. I have always been a huge Michael Jackson fan and Ed's performances always take me back to the Michael Jackson era. My brother thought he was watching an original Michael Jackson video when I was showing him Ed's "Smooth Criminal" performance. Ed encapsulates Michael Jackson's persona from his mannerisms, sense of style in costumes and dance moves. As you will see, he has perfected his craft. I know the response from audiences at events where I have seen him perform and my guests at my retirement party indicate to me that he is well in tune with what what audiences are looking for from an impersonator or tribute artist. Our Organization Fresh Start Scholarship, Inc. Hired Ed Hollis...to perform at our annual New Year's fundraiser. in 2015 This was held at the Westin Lakeshore with over 700 guest. Needless to say...he was AWESOME!!! He had everyone mesmerized . We had to hire him for our 2016 event ...by popular demand. We will utilize his talent for future fundraisers. Thank you Ed Hollis ...God blessings to you!! Excellent Show every time he performs!! I love to see Ed perform! Excellent Michael Jackson impersonator! I see him every year in the Putting On The Hits fundraiser!! He's a very respectful young man!! Keep up the good work & may God continue to Bless you in your career! Ed Hollis is a great impersonator of MJ. I have watched him several times volunteer his talents for a worthy cause each year for South Central Communuty Center and he never ceases to amaze me. He and his dancers are the real deal. He has also performed for me at a retirement party and you would have thought he really was Michael. He personifies perfection and professionalism when it comes to what he does. I'm telling you, he and his dancers gives a really really great show, you will be entertained! Ed Hollis is one of the best Michael Jackson impersonators I've seen. I've watched him and it was a pleasure and honor to see him and his dancers An any shows that Im apart of and we need a Michael Jackson he's the closest to the real Michael that I've witnessed thus far. The greatest dancer around, i so proud to know you, Michael is so thrilled to have you as his impersonator. I have seen many none compare. Keep up the great work. This young man is AWESOME!!!!! I saw Ed Hollis perform at a friend's outdoor party. I thought I was at a live concert. His appearance and performance was professional to say the least. His costumes were replicas of Michael Jackson's. I got so caught up I thought I was looking at Michael Jackson himself. He was so good I booked him to perform at my granddaughter's upcoming Sweet Sixteen party. It's a surprise gift from Grandma. I am sooo excited, can't wait to see him perform again. Ed Hollis is Fantastic. Everyone loved him. He is a striking resemblance to MJ. In looks, style, and performance. He is a prefect gentleman to boot. Absolutely great guy to invite to your party or get together. He will make the party buzz! Ed is the best MJ Impersonator I've ever seen!!! He helped us raise money for the AHA through our golf tournament and his performance was amazing!!! We'd definitely use him again. Just superb and extremely professional. Ed Hollis was hired to help us celebrate my husband's 70th birthday. Mt daughter and I wanted the party to have a special kick and Ed was just that. The party was at the end of May, yet family and friends are still talking about it. My husband and everyone else was mesmerized by the performance. So many wanted to know where we found him. Would definitely hire again! Very professional and fantastic dancer! Ed worked with our group leading up to the event and tailored his music and dancing to our needs. Was very professional, arrived on time for a dress rehearsal and stayed after his performance and took pictures with our guests. He added so much to our 80's party! A truly great talent! Wow Ed was awesome!! Very very professional, very friendly, and responded to my email right away!! His dancing was unbelievable!! Very very talented!! Can not thank you enough!! It's as if Michael Jackson came back at his 80th Zenith. Ed was a great performer, very lively, full of energy and an incredibly talented dancer. His group was amazing, and really knew how to keep the audience's attention. He performed Billie Jean, Smooth Criminal, Beat It, and Thriller. The costumes were authentic, and he stayed to take photos afterwards. Great fun, and I would definitely recommend for any event. Seldom does one have the opportunity to give out honest and sincere PRAISE! I wish that this star rating would allow me to give 6-Stars! For I would give Ed Hollis a 6-Star rating for he truly is a dynamic performer and person. He surpassed a 5-Star rating! Our annual family and friends, 100 guests event was October 25th. Our theme was "Turning Back the Hands of Time,” we celebrated the 60's, 70's & 80's. Mr. Hollis' performance took us back in time to Michael! From the moment he stepped out on stage, we all became mesmerized and astounded; Michael Jackson was reborn, he was alive in ED. Hollis! His performance was nothing less than spellbinding. He was the climax performer to our event and he definitely climaxed out our evening with standing ovations, applause, screams and cheers! Mr. Hollis is an amazing performer with a wonderful personality. He is very friendly, courteous and considerate. He arrived early, completely prepared and ready to perform! As the coordinator of this event, I was so happy and ecstatic that I found Mr. Hollis (aka Michael Jackson) on Gig Salad. He is truly worthy of the praise. If you are searching for the best and you want a "STAR" to perform at your event, I highly recommend and advise you to choose "Michael Jackson (aka Ed Hollis). I was so taken and pleased with Ed Hollis' performance that I am booking him early for our next event!